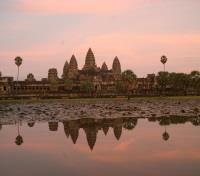 Visit Cambodia's awe-inspiring Angkor Wat at dawn with a private guide. 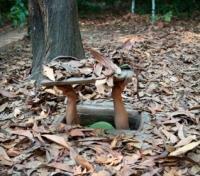 Explore Ho Chi Minh City’s historic sites and the Cu Chi Tunnels. 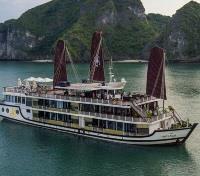 Embark on an overnight Halong Bay cruise on a traditional ship. All domestic flights, private airport transfers and private tours included. 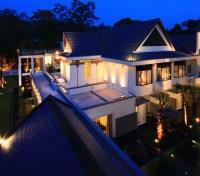 Featuring VIP fast track service & expertly selected boutique hotels showcasing the flavor of the region. 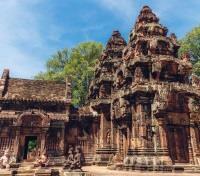 Experience centuries of shared history and culture on this bestselling tour of Vietnam & Cambodia. Witness sunrise at Angkor Wat, explore Historic Hanoi and Hoi An, learn to cook traditional Vietnamese dishes, sail through Halong Bay & much more. Start your journey in historic Hanoi, exploring the centuries old Temple of Literature and the humble cottage Ho Chi Minh resided in. 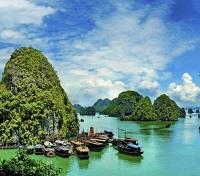 Set sail on a luxury overnight cruise in stunning UNESCO anointed Halong Bay. 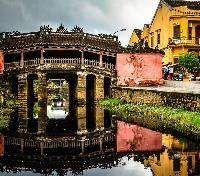 Meander historic Hoi An, and discover 7th century Cham ruins nearby. Try your hand at replicating the delicate balance of savory flavors in a private cooking class, before you’re whisked away to Ho Chi Minh City for a dazzling night out on the town by cyclo. Delve into the heart-wrenching war history of the region in Ho Chi Minh City’s famed vast underground labyrinthine Cu Chi tunnels, and tie the whole story of Indochina together as the sun slowly rises over the sprawling beauty of Angkor Wat. From expertly selected premium boutique city hotels to experiential cruises, you’ll discover the best these neighboring countries have to offer. Enjoy hands-on cultural experiences including walking tours through historic centers, Tai Chi at dawn, and plenty of time at vibrant local markets. Upon arrival to Hanoi's Noi Bai International Airport you will be welcomed by a hostess holding a sign with your name on it. This hostess will guide you through fast-track security services and, after you obtain a stamp for your Visa and have collected your luggage, will lead the way to your awaiting guide and vehicle. Centrally located on the edge of Hanoi’s historic Old Quarter and just steps away from the city’s iconic Hoan Kiem Lake, the Apricot Hotel is a luxurious boutique property that pays homage to Vietnam’s finest artists by showcasing original artwork. A neo-classical design with Vietnamese touches, the 123 guestrooms welcome guests in an elegant, inviting and intimate atmosphere. The Apricot takes guests on an artistic journey with meticulous attention to detail where flawless service comes together in a harmonious mosaic of local flavors. The hotel’s exclusive restaurants pair European cuisine and design with curated South East Asian delicacies, and guests benefit from a posh rooftop bar boasting panoramic views of the city. The wide range of facilities are paired with impeccable services to make sure your stay is memorable in an inviting and intimate atmosphere. Hanoi enjoys a rich Imperial history dating back over a millennium, and a surprising diversity of local ethnic groups weave the fabric of the city’s rich tapestry. Start your day on the outskirts of the city with your private driver and English-speaking guide by visiting the Museum of Ethnology. The museum provides an insightful glimpse into the country’s lengthy history, with more than 15,000 photos and 10,000 objects and artifacts depicting a historical perspective of the lives, activities, customs, and habits of the 54 recognized ethnic groups of Vietnam. Drive back into central Hanoi to the Temple of Literature, built in 1070 and dedicated to Confucius. From here, continue to Bun Cha Huong Lien, the famous local spot where President Barack Obama dined with Anthony Bourdain. After lunch, visit the Ho Chi Minh Complex and Ba Dinh Square, an important point of pilgrimage for many Vietnamese. The area surrounding the complex is a traffic-free zone filled with botanical gardens, monuments, memorials and pagodas, and includes the Ho Chi Minh Mausoleum (outside), Ho Chi Minh’s Stilt House, the Presidential Palace, Ho Chi Minh Museum and the One Pillar Pagoda. Travel back in time to the nearby simple cottage on stilts where Ho Chi Minh lived and worked during his humble beginnings as a revolutionary. Walk a few blocks out of the Ho Chi Minh Complex to the 11th century Buddhist One Pillar Pagoda, an elegant construction rising from the center of a square-shaped lotus pond on a solitary pillar. Continue to Ngoc Son Temple, a pagoda situated on a small island in Hoan Kiem Lake accessible by a classically painted wooden bridge. The view of the city from the pagoda is particularly popular. End your day at a by walking through the iconic Old Quarter. The streets of this district are bustling with scooters, bicycles, cyclos, and cars zipping around pedestrians. The best way to enjoy the charming colonial architecture is to wander with your guide at a leisurely pace and be sure to stop for a cup of Vietnamese coffee or a local snack from one of the many tantalizing street vendors. Your guide and private driver will accompany you back to your hotel, or if you prefer to enjoy dinner at your pace in the Old Quarter and soak up the atmosphere, you can make your own way back to your hotel at your leisure. In the morning, transfer from Hanoi's Old Quarter to Halong Bay. The transfer is approximately 1.5 to 2 hours. You may stop on the way to admire the local scenery. Upon arrival to the port, you'll take a speedboat transfer to your cruise. Welcome on board the Orchid Cruise! Embark on your cruise and enjoy a welcome cocktail followed by an introduction. Boarding time is at approximately 12:15 PM. In the afternoon, head to Ba Trai Dao Islet of Lan Ha Bay, a separate part of Halong Bay. The region is known for its pristine beaches and spectacular beauty, with about 400 fascinating islands. Afterwards, visit small fishing coracles, used by fishermen for centuries. You can spend free time enjoy kayaking or swimming. 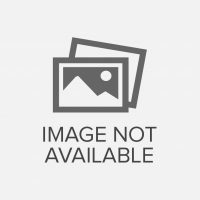 (This program applies between the months of April and November). In the winter months, (December to March), you may visit Viet Hai village with a guide. Cycle along the village path and journey through rain forests and dark tunnels. Enjoy the stunning scenery of rice fields on the way. Stop at the village to relax. Visit an ancient local house, made from straw, mud and bamboo while witnessing the local life on a valley. Optional electric cart service is available (at an extra cost). Return to the cruise and gaze upon the magnificent sunset over the Gulf of Tonkin. On board join in a traditional cooking class in which the chef introduces and instructs you on the preparation of Vietnamese dishes. Dinner is served with delicious local food prepared by the wonderful on-board catering staff. Enjoy the landscape of the bay at night up on the top deck. You can hands-on squid fishing at night or watch a movie in the restaurant. Overnight on board. 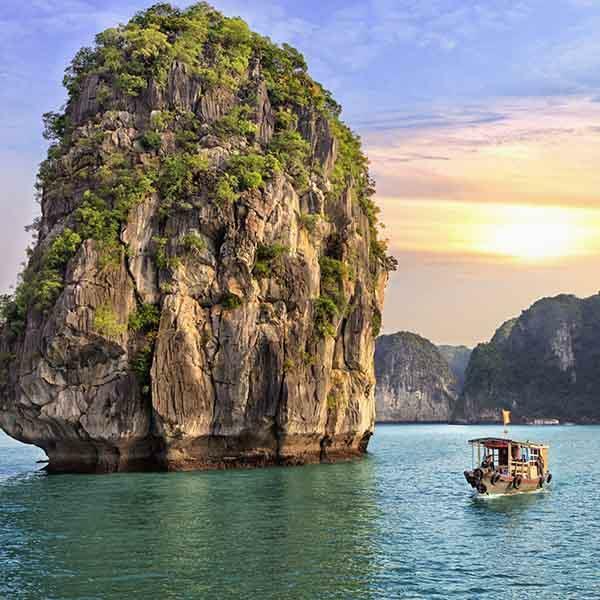 Orchid Cruise offers exclusive luxury 5* cruises off the beaten path of Halong Bay, to the less visited areas of Bai Tu Long Bay and Lan Ha Bay. Drawing design inspiration from the delicate, exotic and graceful orchid flower, Orchid Cruise is elegantly decorated with the presence of orchids. Priding themselves on the highest level of customer service with magnificent, relaxing and comfortable spaces, Orchid Cruise deserves to be recognized as one of the most luxurious 5-star junk lines in Halong Bay. Orchid Cruise houses 14 luxury cabins with an elite, professional crew that will provide guests the best service in Halong Bay. In the early morning, enjoy a Tai Chi class on the sundeck; after that breakfast is served on board. Upon completing breakfast continue your journey and head out in canoes to explore the bay in the area where the Dark & Light Caves are situated. Later in the morning return to your boat where brunch will be served on board while the vessel cruises back to the harbor. 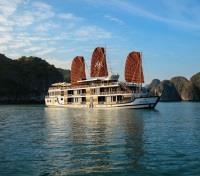 Upon arrival to the Orchid Cruise dock in Halong Bay, you'll disembark from your ship. 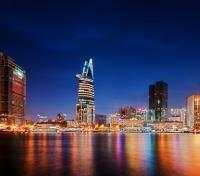 Board a flight from Hanoi with direct service to Danang. Approximate flight time is one hour and 20 minutes. 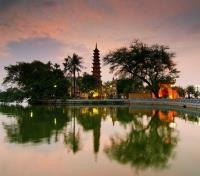 Enjoy a scenic transfer from Danang to Hoi An with a private vehicle and an English speaking guide. The transfer is approximately 40 minutes. At Anantara Hoi An Resort experience an idyllic blend of riverside relaxation in Anantara luxury, a UNESCO World Heritage Site on your doorstep, and beautiful beach life just a short bicycle or boat ride away. Scenically positioned on the banks of the Thu Bon River, Anantara Hoi An Resort is a charming boutique retreat in the historic port town of Hoi An. Designed with French, Dutch, Chinese and Japanese influences that reveal Hoi An’s fascinating cultural diversity, split level rooms and suites open onto porches with comfortable daybeds, overlooking the river or a garden courtyard. Delve into Vietnamese culture with language, savour authentic local dishes and popular world flavours in elegant and casual settings beside the river. Meet up at the heritage inspired wine bar for an atmospheric view of Hoi An’s street life or laze by the pool and let the staff bring an exotic cocktail to your sun bed. The ancient town area in Hoi An and the elaborate temple complex of My Son in the neighboring countryside are an ideal pairing of two very diverse UNESCO World Heritage sites. 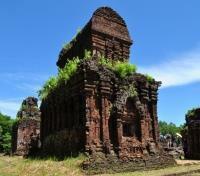 My Son is Vietnam’s most important and iconic Cham site, and a must-see during your time in Vietnam. Head an hour and a half outside of Hoi An with your private driver and English-speaking guide to spend the morning exploring the Hindu ruins dedicated to Shiva. Regarded as one of the foremost important Hindu temple complexes in Southeast Asia, My Son is widely considered to be the Champa civilization’s counterpart to the grand temple complexes on Indian influenced civilizations such as Angkor in Cambodia, Ayutthaya in Thailand, and Borobudur in Indonesia. Heavy carpet bombing during the Vietnam War has destroyed some of the former grandeur, but the majority of the temple sites in the complex have survived. Drive back into Hoi An to explore the ancient town and enjoy lunch at a local Vietnamese restaurant on the way. As a former fishing village set on the banks of the Thu Bon River and strategic trading port for Southeast Asia, centuries of Chinese and Japanese influence have left their unique mark on this town. The streets of the old town are very narrow, so cars are not permitted in the historical center. Start with the 200-year-old Tamky House, a beautifully decorated home that has been lovingly preserved over seven generations. Continue on foot to the Museum of Trade Ceramics, with fascinating pottery artifacts from all over Asia and the Middle East. Take a short walk through the historic town to the 17th century Chinese Chua Ong Pagoda – the neighborhood around it has distinctly Chinese inspired buildings and is lovely to explore at a relaxed pace. Vietnam has a rich culinary tradition, and many of the iconic dishes are surprisingly simple to make, relying on skilled techniques and local fresh ingredients. This morning, your private driver and English-speaking guide will accompany you to your half-day private cooking class. Meet with the chef and start the day by walking through a local market, where the fresh ingredients used in typical Vietnamese recipes are on display. To get to the cooking school, hop on a 25-minute boat ride across the Thu Bon River. At the riverside open-air cooking school, the chef will lead a cooking demonstration, teaching you how to cook traditional Vietnamese dishes – this is a great opportunity to ask tips on technique and ingredients. Afterwards, relax and enjoy the variety of dishes you prepared for lunch. 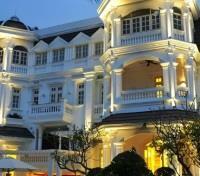 You will be privately transferred from Hoi An to Danang by a professional driver and an English-speaking guide. Approximate travel time is 40 minutes. 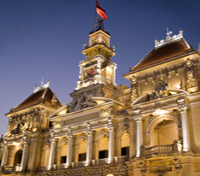 Board a flight from Danang with direct service to Ho Chi Minh City. Approximate flight time is one hour and 15 minutes. The streets of Ho Chi Minh City are particularly vibrant in the evening, as locals rush home from work or head to their favorite street stall for dinner. This evening your English-speaking guide will meet you at your hotel to navigate the hustle and bustle of the city by cyclo. The traffic laws are a mystery to outsiders, but the system of organized chaos seems to magically work. Stop for dinner at Propaganda Bistro, a local restaurant featuring delicious Vietnamese cuisine and locally sourced propaganda art murals. If Propaganda Bistro is closed or extremely busy, another restaurant of the same quality will be offered. After dinner, visit the Ben Thanh market, bustling with activity as vendors offer up souvenirs, clothing, lacquerware and tasty snacks. Housed in a beautifully renovated French-Vietnamese colonial mansion, Villa Song is perched right on the banks of the Saigon River. 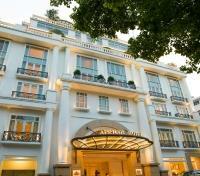 The boutique hotel features large airy rooms with high ceilings, canopied beds and old-fashioned bathtubs. Vietnamese botanical splendor, lovingly embroidered into every detail. With the natural beauty of the Saigon River as their muse, the Villa Song chefs create incredibly fresh, mouth-watering cuisine at the various restaurants. The 30 meter pool is ideal for a morning swim before breakfast in the gardens as you watch the ships sail by. 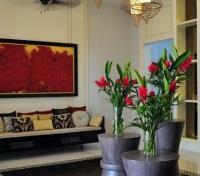 Guests can also rejuvenate at the Spa or exercise at the fully equipped gym. The hotel also has a private speedboat which can whiz you to the city center for a night out on the town. 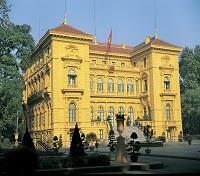 Years of French occupation and a lengthy war with the United States have marked Vietnam since the late 19th century. One of the most impressive feats of wartime engineering is the famed Cu Chi Tunnels, located in the countryside near Ho Chi Minh City. With your private driver and English-speaking guide, head approximately an hour and a half out of the city to explore this monument to perseverance. Gain important insight into the prolonged struggle against invading armies, and appreciation for the resilience and spirit of the Vietnamese people. The residents of Cu Chi took the war underground into a highly developed network of tunnels that at its height stretched as far as Cambodia and included meeting rooms, kitchens and triage areas. Imperceptible from the ground, opposing armies could roll their tanks over the bunkers without causing damage to the tunnels below. Living conditions were harsh – in addition to fighting the war, residents battled food and oxygen scarcity, venomous insects, and cramped living quarters. Drive back into the city and stop for a local lunch. In the afternoon start with a moving visit to the War Remnants Museum, a must-see for any war or history buff visiting Vietnam. Delve into the images and sounds of Vietnam’s lengthy war history with the French and Americans. The museum features a comprehensive collection of the machinery, weapons, and photos of the Vietnamese side of the war, and includes a moving tribute to the journalists, civilians, and soldiers lost during the war, as well as a critical look at biological warfare, weaponry, and worldwide movements for peace. It’s a truly moving visit but not for the faint-hearted. Continue to the Reunification Palace, also known as the Independence Palace, which was the former residence of the President of South Vietnam until the end of April 1975 during the Fall of Saigon. It was here that the Vietnam War ended when a North Vietnamese Army tank crashed through its gates and led to the formal reunification of the two sides. Board a flight from Ho Chi Minh City with direct service to Siem Reap, Cambodia. Approximate flight time is one hour. The day starts in the early morning as you leave your hotel at 5:30 am, heading to Angkor Wat, the largest and most breathtaking monument at Angkor. This is one of the most important archeological sites in Cambodia, with the world heritage temple Angkor and UNESCO has set up a range of programmes to safeguard this symbolic site, its authenticity, and surroundings. Built as the funeral temple for Suryavarman II who ruled from 1112 to 1152, Angkor never fails to reward the first time or repeat visitor with its grand scale, the most iconic temple with surreal bas-reliefs, fascinating decorative flourishes and incredible attention to detail. You will enter the temple complex from the quiet east side of Angkor Wat to avoid the crowds and will spend the morning exploring one of the man's most magnificent creations before returning to the hotel for a late breakfast. After breakfast, you will start your full day visit to the South Gate of Angkor Thom and the temples of Preah Khan, Bayon, Baphoun, Phimean Akas, the Royal Enclosure, the Terraces of Elephants and the Leper King. Next, you will explore Ta Prohm, build in the Bayon style, and originally called Rajavihara. Ta Prohm is a temple of towers, courtyard, and narrow corridors, delicately carved stones that come out through strangulated roots of very old trees. This jungle-clad temple with overgrown trees exudes a haunting and exotic atmosphere. The magnificent tree roots push between the temple's massive stone blocks in a strange embrace. Ta Phrom is particularly astonishing in the late afternoon light after most of the crowds have left. Founded by the Khmer King Jayavarman VII as Mahayana Buddhist monastery and university, the temple had been inscribed by UNESCO on the World Heritage List in 1992. Today you will conclude your journey with an unforgettable sunset at Pre Rup or Srah Sarong before returning to your hotel. Add a bottle of sparkling wine and snacks to treat yourself enjoying the sunset, upon request. This morning you will visit Banteay Srei, which for many years was off limits due to its remote location and Khmer Rouge activity in the area. Built in the late 10th century and dedicated to Shiva, Bantrey Srei's pink limestone walls contain the best bas-reliefs of any temple at Angkor. If you are interested, you may choose to visit the Cambodian Landmine Museum, Prevention and Rehabilitation Center. It is estimated that more than 110 million land mines are buried throughout the world. Buried within Afghanistan, Angola, Iraq, Kuwait and Cambodia are the largest concentrations of land mines. 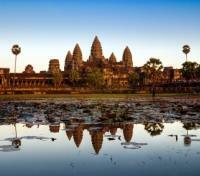 In Cambodia, efforts at clearing mines around Angkor Wat and the major tourist sites have been successful. However, millions of mines remain buried and significantly impact the lives of the Cambodian people. Learn about the center's efforts and work on this visit. Moreover, Continue to visit Preah Khan, with its labyrinth of grey decaying stone courtyards that are slowly being reclaimed by the jungle. Large kapok trees extend limbs and roots throughout the carved stone work; while raucous parrots screech and monkeys keep watch to complete a surreal picture. Afterwards, enjoy your lunch at a delicious local restaurant in town. After breakfast at your hotel, you will be picked up by your private guide and driver to visit the Roluos Group of temples, the remains of the first major capital of the Angkorian-era Empire. Included are Lolei, Preah Ko and Bakong. The sandstone carvings in the niches of the temples are as noteworthy as the Sanskrit inscriptions on the doorposts. The Bakong temple was built and dedicated to Shiva by Indravarman I. This is the largest and most interesting of the Roluos Group of temples and still has an active Buddhist monastery. After visiting the temples, you will receive a monks blessing for good luck and good health before returning back to Siem Reap.